The article discusses some of the problems faced by coastal towns. The elements of tourism and resort activities have to be considered for the upheaval of local economies. This has been the development pattern since the 18th century forming a part of industrial revolution. Understanding the past is necessary to place the current situation in place. 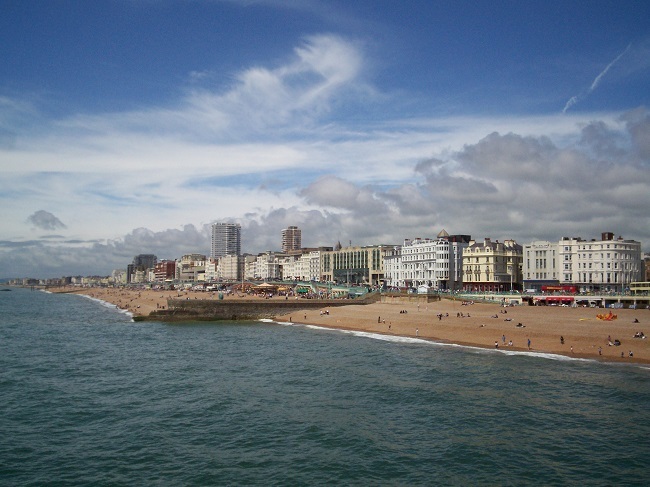 English seaside resorts have always heavily depended on the domestic markets. The coastal towns have tried to preserve their distinctiveness and authenticity with regards to Architectural and cultural heritage. Lack of innovation and loss of media credibility took place in the last generations. What kinds of coastal or seaside town are at issue, how the resort element in their economies fits into past trajectories, present circumstances and failure options, to what extent the problems we identify in the early 21st century are new; what options are available; and what kinds of intervention might be helpful across a broad spectrum? One of the biggest problems faced by coastal towns is growth in population. It has two main causes. Migration from inland areas to coast which often offers people more economic, social and recreational opportunities than inland areas (Goldberg, 1994). Cities on coast are often associated with major ports which help in facilitation of cheap sea transport of goods which in turn attract major industries. This helps in economic growth of the town providing employment and investment opportunities (Ehler, 1995). Maintaining the attractiveness of the coast is an important factor in uplifting the economy the city. Historically, the coast’s attractiveness has always drawn people for holidays, recruitment and those seeking coastal lifestyles which demanded the development of new housing and transport. The coastal urban expansion issues that coastal urban towns go through are illegal squatter; loss of seagrass; and maintenance of scenic attractions. The sitting of oil and gas facilities on the coast requires careful planning and management. The facilities themselves can conflict with commercial and recreational fishing areas and can reduce recreational potential. Poorly planned tourist developments aggravate pre-existing natural coastal problems, especially on the south coast. Natural habitats have to be protected from degradation and depletion as a result of fishing and tourism on coral reefs. Degradation is also caused by over exploitation of resources, some land reclamation, pollution, dredging and other causes. Building construction has been responsible for the loss and degradation of historic cultural and archaeological sites and monuments. It is important to analyse if coastal towns suffer from environmental and social impacts of port development. Port development has a lot of developmental advantages. Port developments involve manipulation of coastal areas by dredging, land reclamation and clearing of coastal forests. They do have a lot of significant advantages. To name a few, the advantages include it can act as a driver for regional economic growth and employment opportunity mainly for skilled workers; enhancing trade; fueling more industrial development and job growth. It should not be forgotten that a balance is needed. The benefits of ports must be balanced with natural habitat loss, pollution, changes to visual amenity, increased road and rail traffic and loss of recreation sites. Most of the issues associated with tourism develop fall into two categories namely environmental and social. Environmental issues include developing tourist facilities such as resorts, caravan parks, golfs, marinas and offshore structures. Social issues involve displacement of indigenous residents, restricted access to coastal resources of income generation and subsistence, loss of wilderness opportunities, conflicts between users, changes to the area’s amenity and possible lifestyle changes. Can fishing industry be a potential threat to coastal management? What are social and environmental impacts of the port development in coastal town? What other social and economic problems do coastal towns face? This entry was posted by Benzu JK on February 3, 2014, 7:00 am and is filed under Town Planning. You can follow any responses to this entry through RSS 2.0.